Q1. What are the main benefits of combining real-time data processing with artificial intelligence? The MapR Data Platform is an all-software data platform for artificial intelligence (AI) and analytics that runs on commodity hardware across on-premises, cloud and edge deployments. However, building a robust AI/ML platform is only half the battle. Utilizing the model in production for real-time decision making is an important element of leveraging AI/ML. This unlocks the value of AI/ML to use these insights in day-to-day business operations. VoltDB powers applications that require real-time intelligent decisions on streaming data for a connected world, without compromising on ACID requirements. It was founded by a team of world-class database experts, including Dr. Michael Stonebraker, winner of the ACM Turing award. No other database can fuel applications that require a combination of speed, scale, volume and accuracy. Q2. You have announced a collaboration with MapR. What does this joint solution look like? As shown in the figure below, VoltDB is used in the fast stream processing and intelligent decision making part of the solution. MapR streams are used to bring in the fast stream of information to VoltDB. The MapR file system is used for big data processing after the data has moved out of VoltDB. This data can be used to train AI/ML models within the MapR file system. The ML models generated by MapR are consumed by VoltML (VoltDB Machine Learning Module) to be run within VoltDB to make decisions on incoming data streams. VoltDB then applies this fresh ML model in production to make intelligent business decisions in real time. For instance, credit card fraud detection can be accomplished by training a fraud detection classification ML model in MapR and applying it in production within VoltDB to accept/decline credit card transactions in real-time. Q3. As large volumes of data constantly stream in from multiple sources at a high velocity, the machine learning model needs to continually ingest and operationalize information in real-time with low latency. How can you derive data insights in real time? To make a decision, you need full understanding and context. As large volumes of data (millions of events) are constantly streaming in, to apply a complex ML to each event to make an intelligent decision requires combining context and understanding. How much understanding and context can you get in 2ms? Should this mobile call be connected? Should this credit card swipe be authorized? How should we customize the next web page for this user? What data platform allows you to implement the ML model insights in real time? VoltDB enables processing incoming events in real-time based on complex machine learning rules. It allows you to ingest and analyze fast streaming data at high throughput while simultaneously querying historical data to continuously improve the ML model. It allows you to import complex models built by data scientists through PMML, PFA, and other standards ensuring quick implementation and consistency. It offers unparalleled high performance with sub millisecond response times, also concurrently updating the models in hot-path while maintaining system availability. It delivers all of this with guaranteed ACID compliance, which is especially important for Enterprise applications in financial services and telecommunications. Q4. How can enterprises take advantage of such joint solutions and use insights to drive business outcomes? Enterprises can reach out to either VoltDB or MapR to set up a conversation with a technical expert to find out more about the joint solution. We expect this solution to help numerous telco, finance, retail, etc. customers looking to operationalize ML models in real-time. We believe this helps MapR and other enterprise customers struggling with taking their AI/ML projects to completion. Going forward, VoltDB and MapR will continue to bring cutting edge solutions to the market. Q5. What do you expect out of this collaboration? Madhup Mishra is the vice president of product management and marketing at VoltDB and is responsible for product strategy, product management and analyst relations, amongst other things. He brings around 18 years of enterprise software experience in large companies and startups alike. 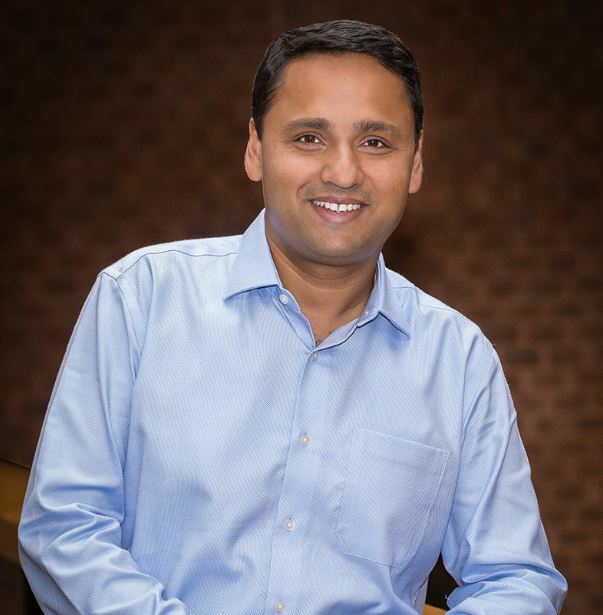 Madhup holds an MS in computer engineering from NC State University and an MBA in general management from Duke University.